I've been hearing the latest rave about this authentic Thai restaurant lately so when my brother and I were debating on a place to dine late Friday night, I suddenly remembered this restaurant. For some reason, I was under the impression that White Elephant was found in close proximity to North Hill Mall. I was proven wrong as we continued to drive along 16th avenue into the NE side of town. We didn't find the restaurant initially and had to stop the car to take a look around us. There were no apparent signs advertising the restaurant's existence but I knew it had to be right in front of us because Google map told me so! It was then that I spotted an elephant on the side of a run down hotel, Point Inn. We drove over and sure enough we had found our White Elephant. Not going to lie, we did not expect such a setting but we entered the Inn as skeptical as we were (Urbanspoon ratings were a huge influential factor in this). We were quickly seated as most tables were leaving since it was 9pm by this time. The restaurant looked old and run down, but in a god way - like one of those long standing restaurants where the grungier they appeared meant the better tasting they were. As an Asian myself, I'm aware to not judge a book by its covers when it comes to restaurants because past experiences have taught me that the more sketchy a restaurant looks, the better tasting the food is. The menu provided many options for us. In the end we settled on one appetizer, two main dishes and a bowl of coconut rice to share. For the two mains, we played it safe and chose a medium spice, just in case we couldn't handle the spiciest level offered. At this point, we were starting to feel really hungry. 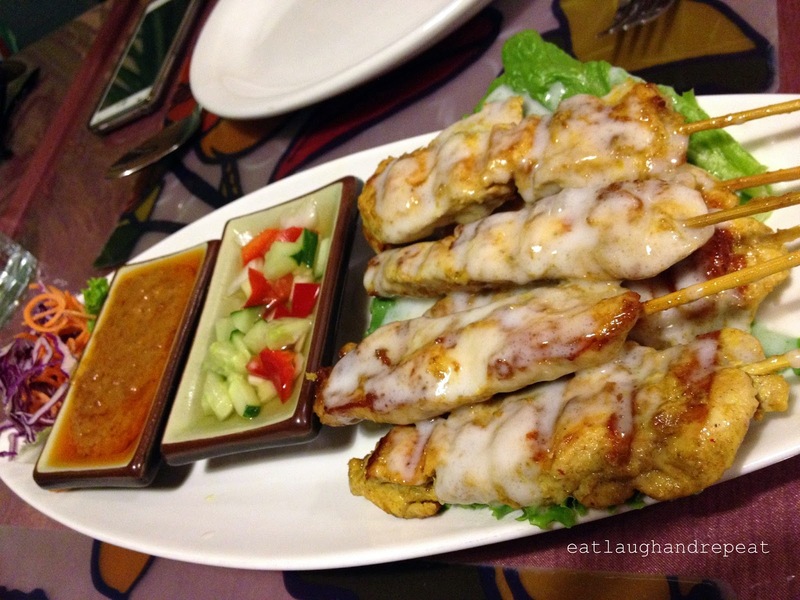 So when the Chicken Satay skewers arrived, we practically inhaled it. The chicken was very flavourful and tender, with not a single dry bite to be found. 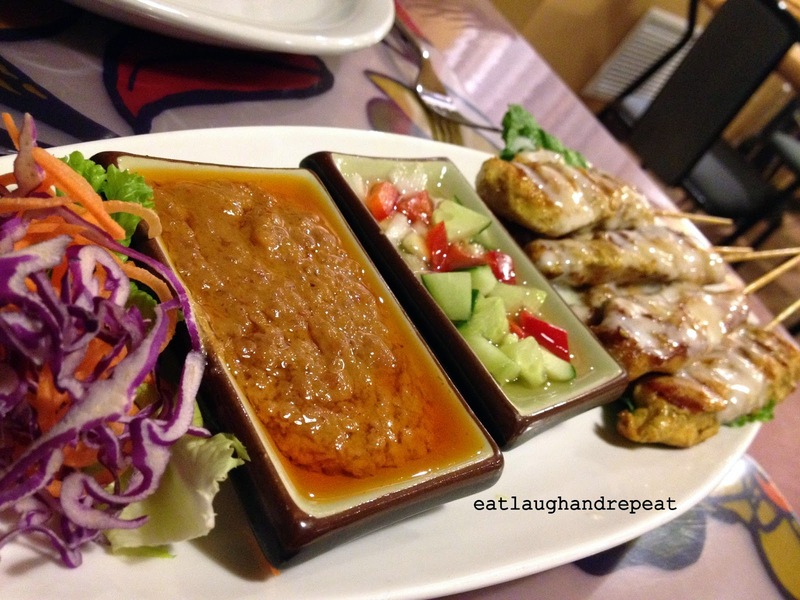 The peanut sauce was heavenly, which made us nearly forget about trying the cucumber sauce. I'm glad we remembered because in contrast, the cucumber sauce was "lighter" and found to be very sweet. I'm undecided as to which sauce I preferred. I ended up dipping my chicken pieces in both sauces to get the best of both worlds. I loved the assortment of vegetables in this dish. The different colours of vegetables made the dish look very vibrant - I love it when there are multiple colours found in one dish. Unfortunately, this taste was soon forgotten once we both tried the next dish that arrived. We tried not to play favourites, but it was too difficult. I am sooooo glad we ended up ordering this dish. In comparison, the rice noodles might have looked more appetizing, but once we got a taste of the curry, we knew that we could not go back to the noodles for the rest of the night. The curry had the perfect amount of spice and sweetness, which caused you wanting more. It was smooth and not too heavy. 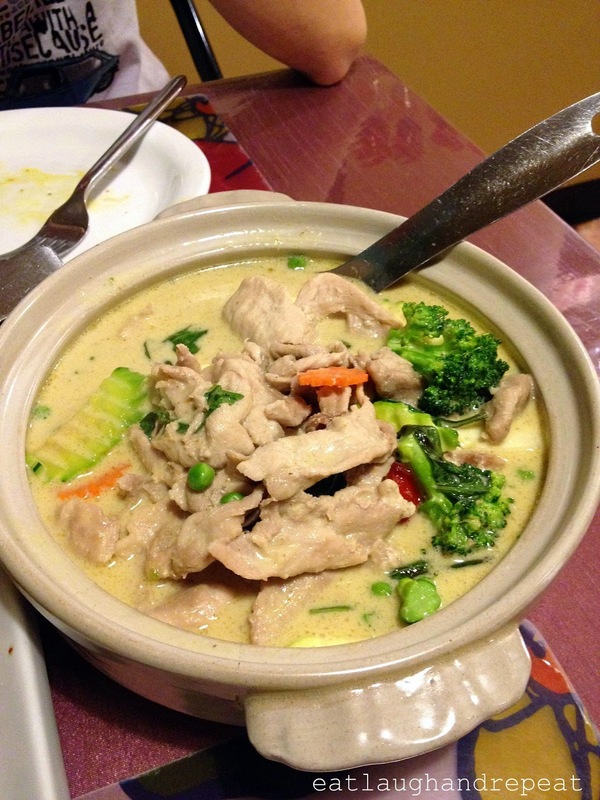 The pork and vegetables were cooked in the curry so it had soaked in the the desired amount of green curry and coconut milk. Although we were getting full, we could not stop ourselves from refilling our plates with rice just so we could continue eating the tasty curry dish. This was probably the tastiest curry that I've ever tried. So much flavour and hits all the right spot. I cannot wait to go back to get this again. The service was pretty good in that they had friendly servers. However, they weren't that attentive. This was because it was getting late and nearing their closing time. At a point, it took a while for me to get their attention just so I could ask them to top off my water, because they were too busy cleaning to notice. But we were there late and ended up being the last table to leave, so it makes sense. Overall, I see why they are so highly spoken of. 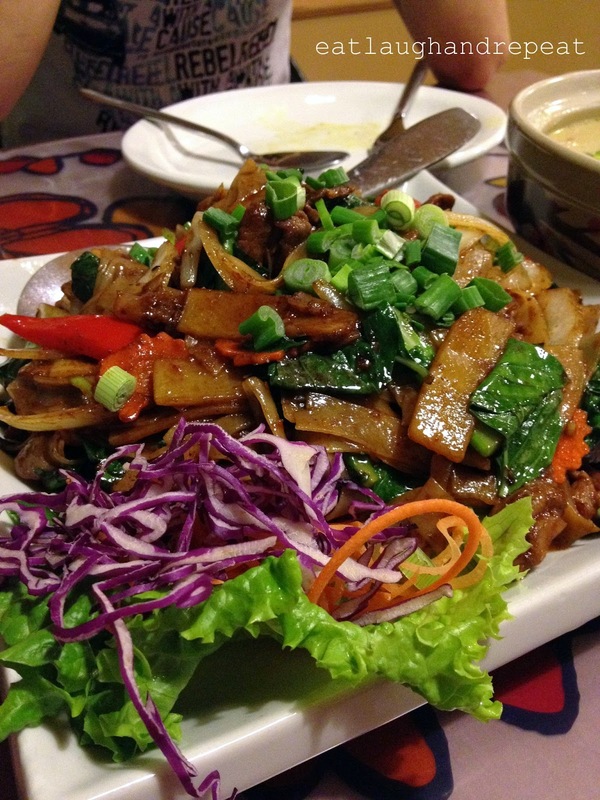 Don't get discouraged by its location, because this place offers some amazing Thai food!